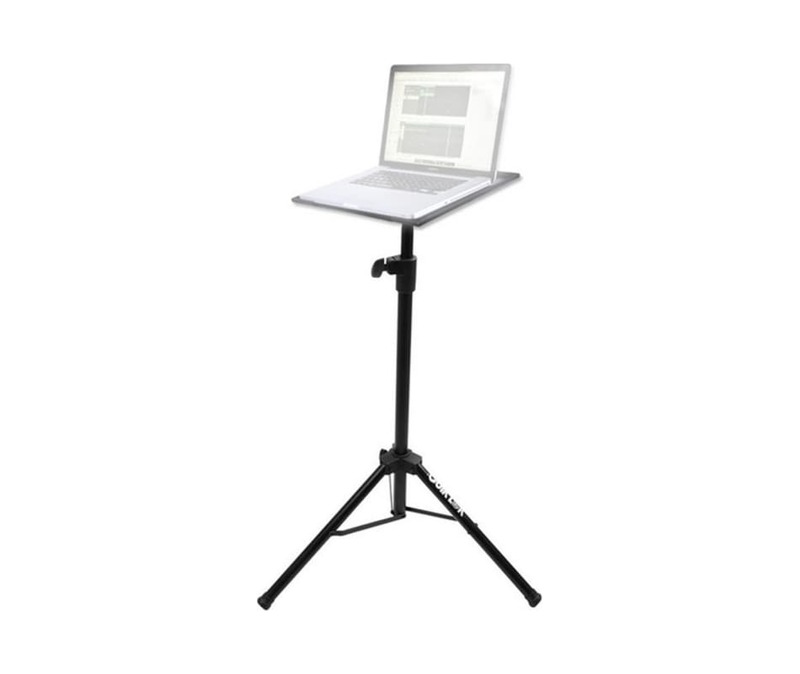 The stand has a height-adjustable tripod base with a metal shelf that tilts so you can achieve an optimal angle. To prevent any accidental tumbles of your valuable equipment, the shelf has raised edges. It also has a center flange opening to simplify cable routing. Plus, the stand folds flat so you can easily pack it up to store it or take it on the go.